I am often asked, “How much revenue should I expect from chartering out my jet?” To answer that question, I first need to begin by saying that the question is a misleading inquiry. Let’s be clear: If an aircraft owner’s primary purpose of buying a private jet is to make a profit, don’t buy a jet. 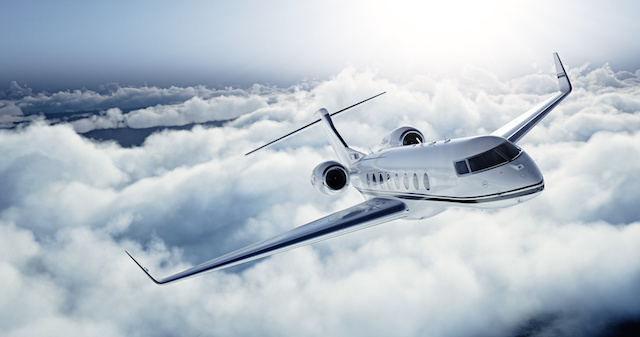 The revenue received from chartering your jet, when not in use, can significantly lower your costs of ownership by up to 80 percent, but owning and chartering out a jet is not a profitable business venture. With this understanding, the more valid question is, “How much of my fixed costs should I expect to save from chartering out my jet?” The forthcoming answer to this specific question is different to every client; based on the make and model of plane, how much they fly and how many charters they accept. The answer to the question, “Should I charter my business jet in order to reduce expenses?” does not yield a simple ‘yes’ or ‘no’ answer. Determining whether it is in your best interest to charter your jet demands a personalized analysis of your goals, flying schedule, and type and age of the plane. When speaking with clients, who are interested in chartering their private jet, I take a straightforward approach. Some aircraft owners have an appetite for charter and some do not. Charter is an excellent way to offset fixed costs incurred; regardless of how much or little you fly your plane. The savings can total well over one million dollars per year and more. When a jet is chartered correctly, this additional flying will not diminish the resale value of the aircraft. However, allowing other people to charter your jet is not for everyone, and it is important to discuss both the positive and negative aspects to make sure everyone involved has proper expectations. There are three questions that I routinely ask clients who would like to charter their aircraft. First, “How much do you anticipate using your jet?” The answer given is commonly expressed in hours per year. A simple way to estimate annual flight hours is to list out your most common destinations and the number of times per year you anticipate visiting. Then, add a margin for unanticipated trips, resulting in an estimate of total annual hours to expect. Add 25% to this number, because once you own a jet, you are going to love using it. A simple way to estimate annual flight hours is to list out your most common destinations and the number of times per year you anticipate visiting. If you anticipate flying less than 150 hours per year, charter is probably a better option (if evaluating on purely financial considerations). All of the costs incurred through jet ownership will never be fully recouped; no matter how much charter you accept. The ‘why’ behind that is due to a large variable that directly corresponds to the number of hours you fly. A typical jet has a two-person crew, who can fly around 400 hours per year. This allows time off for training, vacation, sick days, etc. You can use replacement crew members, but at a daily rate, and those costs can add up quickly. Also, you are not guaranteed their availability. The average cost to employ and train a professional pilot is about $200,000 per year. If you net $2,000 per hour from charter, after direct operating costs (the variable cost per hour incurred by flying the jet), you will need to fly 100 hours just to recoup the added expense of a third pilot. In addition to needing more pilots, maintenance costs will increase when flying over 500 hours per year. The make and model of jet— which in aviation jargon is referred to as the “type”— plays a critical role in determining how much offsetting revenue you should expect from charter. Some aircraft types have higher margins between the charter rate and direct operating costs. Factors that contribute to this are fuel burn, costs of engine and maintenance reserves, etc. Beyond the direct operating costs, there are fixed costs. These include crew salaries and training, hangar, insurance, subscriptions, etc. For the most part these costs don’t change based on how much you fly. In some cases, this can significantly work to your benefit. Take for example engine reserves— which are typically expressed as an hourly expense. However, many engine companies require a minimum annual dollar threshold. If you do not fly enough hours to meet the minimum dollar contribution, then you still owe the balance. In this example, the ability to charter your aircraft, and let the charter customer pay toward your engine minimum, is a direct reduction in your annual fixed costs. Aircraft owners, depending on the type of aircraft, may request parameters pertaining to the specific charters that they will accept. However, keep in mind that the same charter client who may charter your plane on a long flight may need to take a short one too from time to time. The critical data point to watch is average hour to cycle ratios. If your aircraft’s ratio is beyond the norm, this can increase maintenance costs and negatively affect resale value. With so much information to consider regarding jet ownership, it is essential to have a team of specialized and experienced individuals working together on your behalf. This often includes an aircraft management company, aviation attorney, CPA, financier and aircraft broker. Together they provide an aircraft owner a holistic view of their asset and ensure the owner’s best interests are protected. The ultimate goal of aircraft ownership is to enjoy the extraordinary freedom, flexibility, speed, comfort, and privacy that comes with owning your own aircraft. As with anything, the costs associated with ownership are important to consider, and the revenue provided by chartering your plane— when not in use— can significantly lower your cost of ownership without impacting the value of your aircraft. Using charter as a tool to offset the cost of aircraft ownership requires careful thought and analysis, backed by an experienced team of advisors. The demand for private jet charter has increased significantly in the past few years and although an aircraft owner will never make money owning a plane, today is an outstanding time to own a jet and take advantage of the cost savings afforded by offering the aircraft for charter. For more information about aircraft management and the costs of owning a business jet, speak to one of our experts or request a proposal.